We have a dream - a wonderful world which sees Mr Waffle become one of Ireland’s most respected brands. In July 2010, I decided to give up a well paid job to pursue my waffle dream. 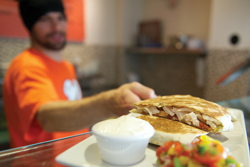 Determination, focus, passion and a ‘can do’ attitude over the last two years means Mr Waffle is now ready to carry out its strategic expansion plan through franchising. “Anyone interested in setting up a food business knows the risk, hard work, and commitment it will take. I am here as someone who has successfully done all of that to ensure my future franchise owners start their business on a firm footing. I will drive my franchise owners and my brand to ensure our dream is achieved. 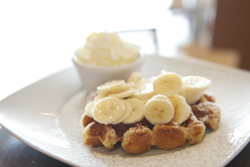 “History will prove that my idea and plans for Mr Waffle are a success – become part of that history with me. 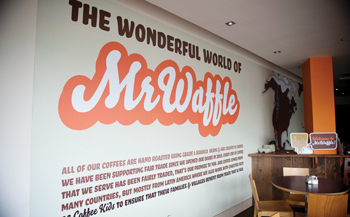 "Long live The Wonderful World Of Mr Waffle..."
We will be reinvesting the Franchise Fee received for our first three franchises (Dublin 2, Cork 1) back into our partners’ businesses. Management Service Fees. Very competitve at 5% of net turnover. Advertising fee. 0%. We believe that you should promote your business locally and we will not ask you to contribute to a central fund for us to use on promoting our brand.